Save for qualified higher education expenses at schools nationwide including tuition, room and board and more. Lock in current undergraduate tuition rates at Texas public colleges and universities. If you work with a financial advisor, ask them about the LoneStar 529 PlanOpens a new window®. The children depicted are models and may not be beneficiaries of a Texas 529 plan. Purchasers should carefully consider the risks, administrative fees, service and other charges and expenses associated with the contracts, including plan termination and decreased transfer or refund value. Purchasers should read the Texas Tuition Promise Fund Plan Description and Master AgreementOpens a new window carefully before purchasing a contract. Participation in the prepaid plan does not guarantee admission to or graduation from any college or university. Neither a contract nor any return paid with a refund is insured or guaranteed by the FDIC, the state of Texas, the Texas Prepaid Higher Education Tuition Board, any other state or federal governmental agency or NorthStar or its affiliates. The contracts have not been registered with the U.S. Securities and Exchange Commission or with any state. Before investing in the direct-sold Texas College Savings PlanOpens a new window or the advisor-sold LoneStar 529 PlanOpens a new window (“Savings Plans”), investors should carefully consider the investment objectives, risks, administrative fees, service and other charges and expenses associated with municipal fund securities. Investors should read each Plan Description and Savings Trust Agreement carefully before investing. As stated in the current Texas College Savings Plan® Plan Description and Savings Trust AgreementOpens a new window, total fees for the Texas College Savings Plan portfolios ranged from 0.60% to 1.00%. As stated in the current LoneStar 529 Plan® Plan Description and Savings Trust AgreementOpens a new window, total fees for the LoneStar 529 Plan portfolios ranged from 0.68% to 2.47% with a maximum sales charge of 5.75%. Fees are subject to change. No part of an account, the principal invested, nor any investment return is insured or guaranteed by the FDIC, the state of Texas, the Texas Prepaid Higher Education Tuition Board, any other state or federal governmental agency or NorthStar or its affiliates. An account in the Savings Plans might not make money and could lose money (including the principal invested) if money is invested in the Savings Plans. Interests in the Savings Plans have not been registered with the U.S. Securities and Exchange Commission or with any state, and are not deposits or obligations of any depository institution. The Texas Tuition Promise FundOpens a new window®, the Texas College Savings PlanOpens a new window® and the LoneStar 529 PlanOpens a new window® are established and maintained by the Texas Prepaid Higher Education Tuition Board and distributed by Northern Lights Distributors, LLC, Member FINRAOpens a new window/SIPCOpens a new window. NorthStar Financial Services Group, LLCOpens a new window, the parent company of Northern Lights Distributors, LLCOpens a new window, 17605 Wright Street, Omaha, NE 68130, is the plan manager and administrator. Texas Tuition Promise Fund: www.texastuitionpromisefund.comOpens a new window or option #5. 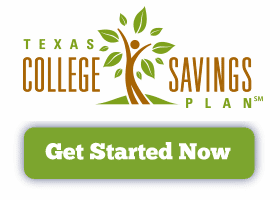 Texas College Savings Plan: www.texascollegesavings.comOpens a new window or option #3. LoneStar 529 Plan: www.lonestar529.comOpens a new window or option #4. Non-residents of Texas should consider whether their home state offers its residents a 529 plan with tax or other advantages that are only available to participants in that state’s plan. Participants should consult their tax advisor. 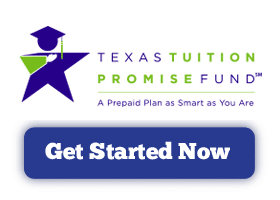 “Texas Tuition Promise FundOpens a new window” and “Texas College Savings PlanOpens a new window” and “LoneStar 529 PlanOpens a new window” are service marks of the Texas Prepaid Higher Education Tuition Board. All rights reserved. 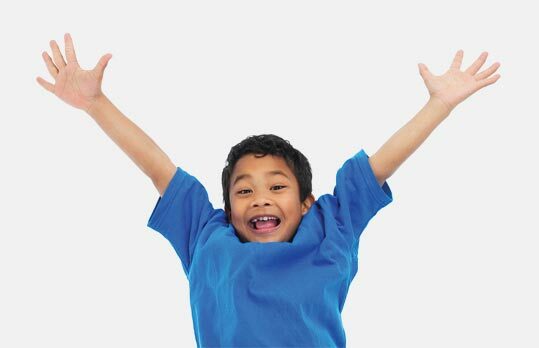 ©Copyright Texas Tuition Promise FundOpens a new window®, Texas College Savings PlanOpens a new window® and LoneStar 529 PlanOpens a new window®, respectively. All rights reserved. Comments or complaints may be forwarded to the Prepaid Higher Education Tuition Program, Office of the Comptroller of Public Accounts, P.O. Box 13407, Austin, Texas 78711-3407 or by calling 1.512.936.2064.